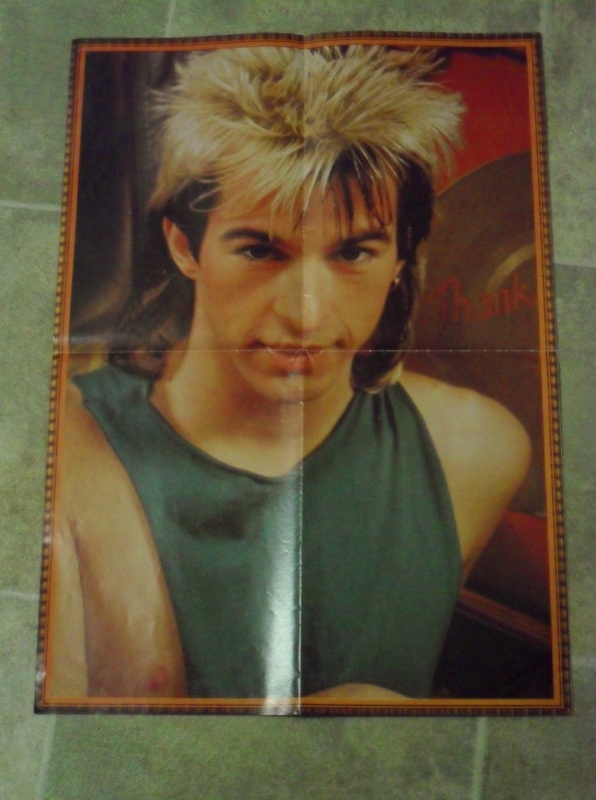 Limahl January – 1983 promotion….from 1983! In this exciting week of promotion for the brand new Limahl single ‘1983’, KajaFax thought that it would be nice to look back at what was going on in the year ‘1983’ when Kajagoogoo were busy becoming global stars! 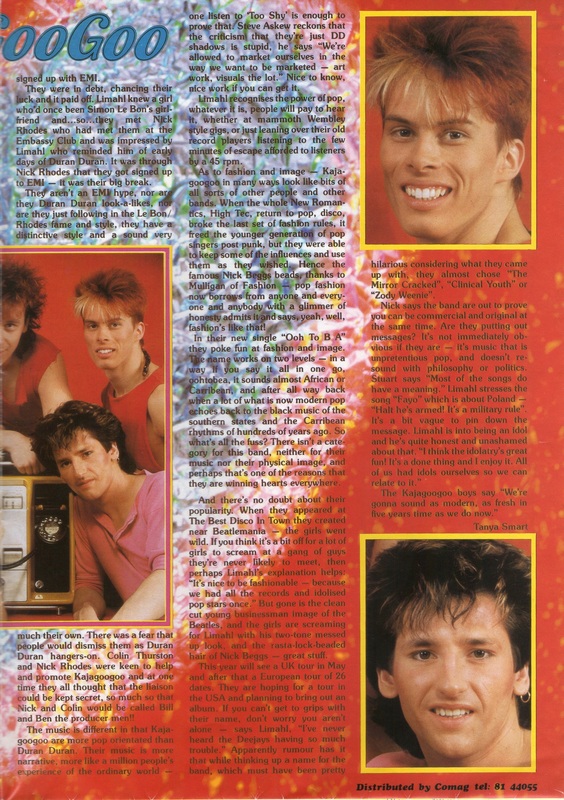 Back in ’83, Limahl and the other members of Kajagoogoo were everywhere – the newspapers, magazines, T.V., and of course the radio! The band had gained exposure on Paul Gambaccini’s program ‘The Other Side of the Tracks’ and had been gigging solidly prior to Too Shy being a hit. One of the vehicles used by EMI back in the eighties to get the music to the masses was the teen magazine, and newsagents’ shelves were teeming with glossy fold-out poster magazines of their top selling artists. Kajagoogoo are five new talents who have had various ways of expressing those talents in the past, but now comprise one of the hottest new star bands on the vinyl and dance hall circuit. Best known is the charismatic Limahl from Wigan. Where his name comes from is a trade secret and will no doubt have fans and rock journalists alike sieving through his life and past, family and friends trying to find out what it means. He says it’s an anagram of his real surname. Could his real name be Hamill? Lamhil? Himlla? Who knows? He leads the band with the catchy lyrics and easy disco sounds in an urgent but not too intense vocal style reminiscent of Duran Duran and some of the most successful recent bands. Stuart Neale plays keyboards, Steve Askew on guitars, Nick Beggs on bass (at 21 the youngest) and Jez Strode (can he really be called Jez Strode?) 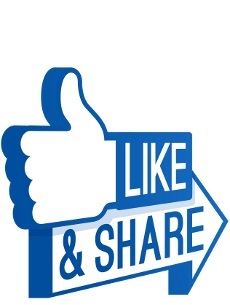 on drums and electronic percussion. Limahl has come a long way from Wigan to London’s tough rock world, the others have come not such a long way from Leighton Buzzard. 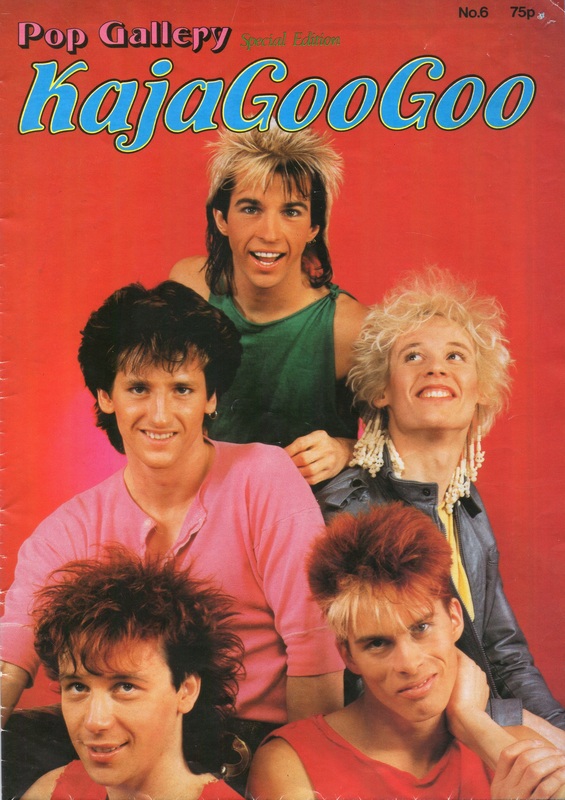 The name Kajagoogoo isn’t an obscure reference to an oriental cult or another brain pickling anagram, no, they wanted a name that didn’t mean anything, and Kajagoogoo sounds like the comic burblings of a new born infant – makes sense really since they’re pretty well a new born band. Their first single, ‘Too Shy’ took off like a rocket going straight into number 33 in the charts. It was at number one in February this year and this is just the beginning. They had a nineteen gig tour with ‘fashion’ in the UK in ’82 and it was Mulligan of Fashion’s fame whose hair inspired them to do things to their hair and make them look raffishly up to date. It’s earned them the nick name of the loveable hedgehogs. So, where’d it all begin – from Wigan and Leighton Buzzard to Top of the Pops and top of the charts, round the UK, off to America and thousands of singles sales, pounds in the bank account, faces known to millions and a fashionable and successful future ahead? Between them these five guys have been freezer centre manager, binmen, graphic artists, hair dressers, lorry drivers and actors. Limahl was an actor and was in Grange Hill, Godspell, The Gentle Touch…but none of that was much of a thrill as the day that ‘Too Shy’ went to number 33. “It was like, unreal – really, really wonderful! I mean I couldn’t even eat my breakfast I was so excited!” said Limahl. “I’m 22, good looking, talented, with imagination, determination, song writing abilities…and I need four musicians with the same qualifications to form what obviously should be a successful band. 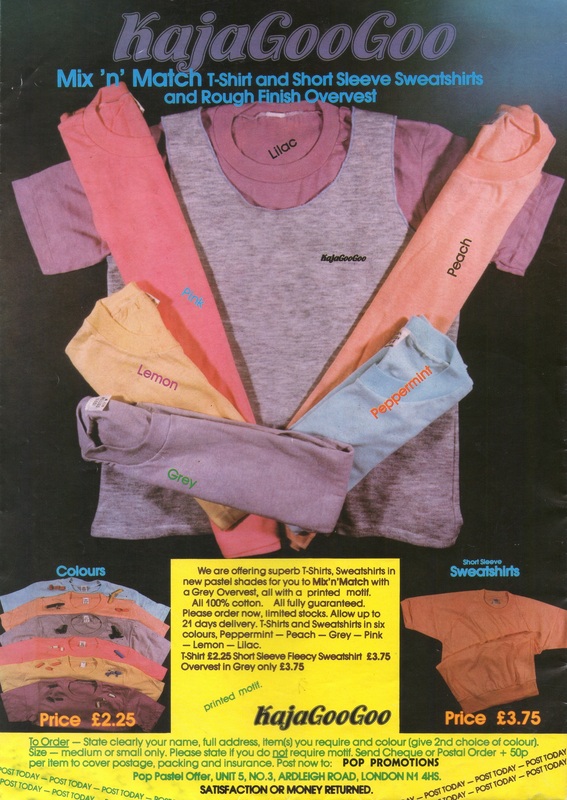 No Des O’Connor fans” (Des O’Connor put one out saying no Limahl fans….) But Limahl was right to be arrogant as clearly time has shown that it was all true. Limahl had joined and left two other bands and for weeks had been looking for a job in the vocalist wanted columns. He’d had enough of being in Agatha Christie’s ‘Murder at the Vicarage’ and touring in ‘Joseph and the Amazing Technicolor Dreamcoat’ and he wanted to exploit his musical and vocal talents. He’d auditioned with some heavy rock bands and was sick of it all, he wanted something modern. He was delighted when Steve Askew sent him Art Nouveau’s self made single ‘Fear Machine’ because it was futuristic and modern. Leighton Buzzard welcomed Limahl with his colourful hair and magnetic personality and between them the five developed what has since become Kajagoogoo. Like many hopeful would-be pop singers and rock musicians they worked in Jez’s bedroom, writing songs and rehearsing in a local hall. They did a mime gig in Camden Palace and put down a demo tape. Then there was a gig in the Embassy Club and before they knew it they were signed up with EMI. They were in debt, chancing their luck and it paid off. Limahl knew a girl who’d once been Simon Le Bon’s girlfriend and…so…they met Nick Rhodes who had met them at the Embassy Club and was impressed by Limahl who reminded him of early days of Duran Duran. It was through Nick Rhodes that they got signed up to EMI – it was their big break. They aren’t an EMI hype, nor are they Duran Duran look-a-likes, nor are they just following in the Le Bon/Rhodes fame and style, they have a distinctive style and a sound very much their own. There was a fear that people would dismiss them as Duran Duran hangers on. Colin Thurston and Nick Rhodes were keen to help and promote Kajagoogoo and at one time they all thought that the liaison could be kept secret, so much so that Nick and Colin would be called Bill and Ben the producer men!! Nice to know, nice work if you can get it. Limahl recognises the power of pop, whatever it is, people will pay to hear it, whether at mammoth Wembley style gigs, or just leaning over their old record players listening to the few minutes of escape afforded to listeners by a 45 rpm. 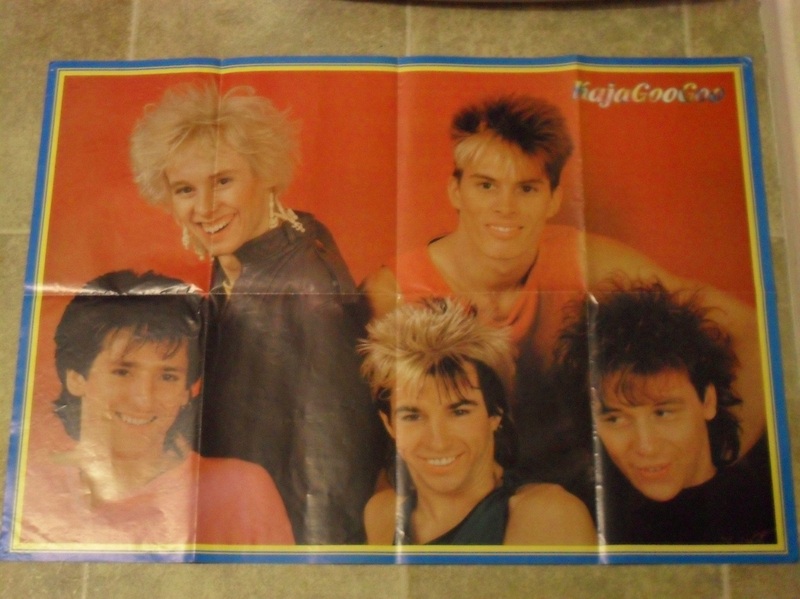 As to fashion and image – Kajagoogoo in many ways look like bits of allsorts of other people and other bands. When the whole New Romantic, High Tec, return to pop, disco, broke the last set of fashion rules, it freed the younger generation of pop singers post punk, but they were able to keep some of the influences and use them as they wished. Hence the famous Nick Beggs beads, thanks to Mulligan of Fashion – pop fashion now borrows from anyone and everyone and anybody with a glimmer of honesty admits it and says yeah, well, fashion’s like that! In their new single ‘Ooh to be Ah’ they poke fun at fashion and image. The name works on two levels – in a way if you say it all in one go, oohtobeah, it sounds almost African or Caribbean, and after all way back when a lot of what is now modern pop echoes back to the black music of the southern states and the Caribbean rhythms of hundreds of years ago. So, what’s all the fuss? There isn’t a category for this band, neither for their music nor their physical image, and perhaps that’s one of the reasons why they are winning hearts everywhere. But gone is the clean cut young businessman image of the Beatles and the girls are screaming for Limahl and with his two-tone messed up look, and the rasta-lock-beaded hair of Nick Beggs – great stuff. This year will see a UK tour in May and after that a European tour of 26 dates. They are hoping for a tour in the USA and planning to bring out an album. If you can’t get to grips with their name, don’t worry you aren’t alone – says Limahl. “I’ve never heard Deejays having so much trouble”. Apparently rumour has it that whilst thinking up a name for the band, which must have been pretty hilarious considering what they came up with, they almost chose ‘The Mirror Cracked’, ‘Clinical Youth’ or ‘Zody Weenie’. Nick says the band is out to prove you can be commercial and original at the same time. Are they putting out messages? It’s not immediately obvious if they are – it’s music that is unpretentious pop, and doesn’t resound with philosophy or politics. Stuart says “Most of the songs do have a meaning.” Limahl stresses the song ‘Frayo’ which is about Poland – “Halt, he’s armed! It’s a military rule”. 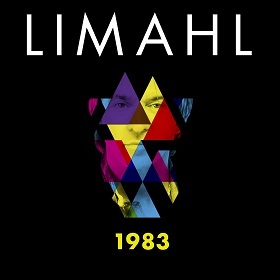 The new single ‘1983’ from Limahl is available to buy NOW! Available from all good online retailers. According to a beautiful book with input by Paul Gambaccini, Limahl got his name from ‘rearranging the letters of his surname, Hamill’. 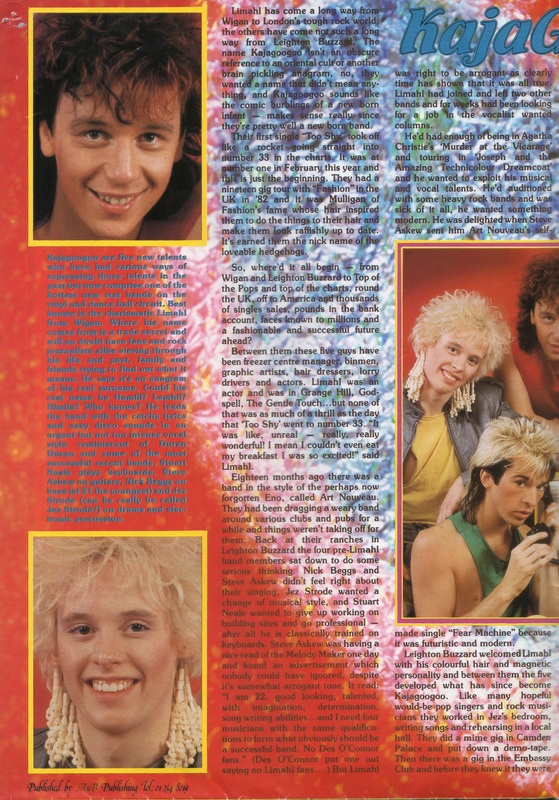 I wish I still had that softcover book with its very rare photos, some of them very spontaneous and Nick Beggs making a silly face.I was crazy in love with that band, and read everything I could get my hands on.